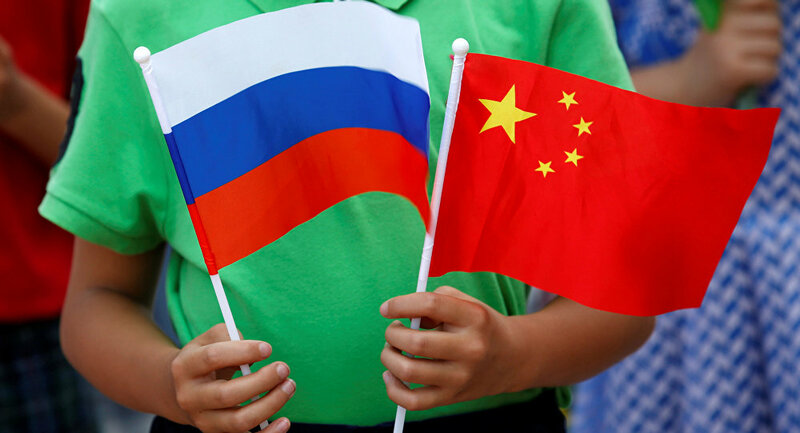 “China maintains strategic partnerships with many countries, but President Putin wanted to underscore China’s very special relationship with Russia, which is more close and constructive than what it has with other countries,” Alexander Lomanov told Sputnik China. He described this strategic partnership as one of mutual trust, all-embracing and looking to the future. During Friday’s press conference Vladimir Putin congratulated Russia’s “Chinese friends” with the yuan now being used by the IMF as a reserve currency. In an interview with Sputnik China, Alexander Larin, an expert at the Institute of the Far East in Moscow, hailed China’s success is reshaping the global financial system and implementing economic reforms. “Economic growth is a major priority for China. Despite a recent slowdown, the Chinese government’s economic strategy, based on the profound knowledge of how the economy works, has yielded good results increasing the country’s prestige and global interest in its economic model,” he said. He mentioned the Silk Road Economic Belt and other major economic projects now being implemented by the People’s Republic, and the yuan’s new status of a global exchange currency as graphic proof of China’s economic progress. “This has a big impact on the global financial system, which begs to be reformed, and the IMF’s decision to include the yuan in its currency basket is a quantum leap forward,” Alexander Larin noted. President Putin described the two countries’ shared views on global affairs as a major stabilizing factor and held out hope for closer mutually-beneficial cooperation between Moscow and Beijing. Alexei Mukhin, director of the Center of Political Information in Moscow, mentioned Barack Obama’s onetime idea to set up a G2 – a proposed informal special relationship between the US and China. “Russia has de-facto replaced the US in this informal G2 by establishing a strategic political and economic alliance with Beijing. I think that this is exactly what Putin had in mind when speaking about Russian-Chinese relations,” Mukhin said. “What he also had in mind is our countries’ coordinated position at the UN Security Council, on the situation in the Middle East, the Shanghai Cooperation Organization and on the Trans-Pacific Partnership, which was aimed against China — a threat our two countries managed to avert by acting together,” Alexei Mukhin added. Feng Shaolei, director of the Academy of International Relations and Regional Development at Guangdong University, China, said that Putin’s attention to socioeconomic issues during his press conference meant that Russia will stick to a cool-headed policy to ensure Russia’s consistent economic and social progress. “Putin made clear his intention to build up Russian nuclear deterrent. He also seems to expect that Donald Trump’s arrival at the White House will help mend fences with Washington,” Feng Shaolei said. He added that despite his stated desire to seek negotiated solutions to existing problems, Putin would stick to a consistent and principled position on such sensitive issues as the Ukrainian crisis and relations with Georgia. “My overall impression from the four-hour press conference is that the Russia is emerging from the crisis and is now toeing a balanced and careful line in domestic and foreign policy,” Feng Shaolei noted. He also mentioned Vladimir Putin’s praise for China’s economic growth and the yuan’s new status of a global reserve currency. “President Putin spoke about our joint design and construction of long- and medium-range airliners and the high degree of interaction now existing between our countries, which he said ‘we value and hope to continue developing,’” Feng Shaolei said. In a marathon press conference on Friday that lasted for almost four hours, President Vladimir Putin covered a wide range of issues, including the state of the Russian economy, the modernization of the country's military, its defense spending, sanctions, the new arms race, as well as the country's foreign policy.